Lean Tip #511 – Show Respect for People: Be clear in your communication. When you express goals or explain projects, be sure the employees really understand what you are asking for. If the goals are unclear then the employees are not sure what they are being asked to do. Lean Tip #512 – Show Respect for People: Eliminate barriers, restrictions and layers of protocol. The more steps, individuals, policies and departments employees have to work through to get results, the more frustrating and disempowering things actually are. Use cross-training, multi-department teams and projects, and trainings to help break down the boundaries and barriers that may exist between employees and departments. 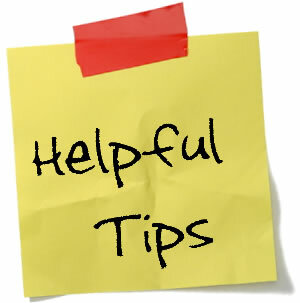 Lean Tip #513 – Show Respect for People: Allow employees to suggest better ways of getting their jobs done. Ask for employee suggestions for other ways of getting the task or project accomplished. Listen and be willing to really hear the employees' comments. Employees hate to have no input and be told exactly how to perform their jobs, leaving no creativity. Lean Tip #514 – Show Respect for People: Show you have trust in your employees. Allow them to make mistakes as a form of learning. Show that it is really OK to make mistakes. Trust that people have the right intentions and will make the right decisions, even if they are different than your own. Let them know you really support their decisions. Lean Tip #515 – Show Respect for People: Encourage and reward improvement and innovation. Employees may be afraid to offer insight and new ways of doing things because the company culture doesn't support them. If you really want to empower employees, you'll need to create a company culture that encourages and rewards innovation. You may start by asking individuals to look for ways to improve efficiency, output, safety, etc. in the tasks they perform every day. Lean Tip #516 – Show Respect for People: Listen. Listen. Listen. Do you do most of the talking? Be open to communication and ask your employees questions. They can demonstrate what they know and grow in the process. Lean Tip #517 – Show Respect for People: Share leadership's vision. Help people feel they are a part of something bigger than themselves or their job by sharing your company's overall vision. Tell your employees the most important goals for your organization and let them know of the progress towards those goals. Lean Tip #518 – Show Respect for People: Allow employees to actively participate in team and company goals. Look for every opportunity to include employees at every level of the organization, in being active participants. Employees can't be involved with one-way directives. Lean Tip #519 – Show Respect for People: Be a coach. The best way to empower employees is not to manage them. Coach them to success. This is a process of developing their skills and providing them specific feedback to meet high standards. Employees want to be on the same team with their bosses. Be their coach and lead the team to success! Lean Tip #520 – Show Respect for People: The key to empowerment is communication. Give every employee equal and direct access to information. Many companies have developed a trickle-down style of communication that alienates those employees who may not be "in the loop." The more informed employees are and the more communication is open, honest, direct and complete, the more likely employees are to feel empowered and connected to the daily operations and overall goals of their company. Lean Tip #521 - Delegate meaningful jobs, not just the "junk" stuff you don't want to do. Workers don't want to perform trivial tasks on a regular basis any more than you do. If the tasks are truly unimportant, maybe they should be deleted altogether. If they are necessary, consider setting up a rotating schedule so workers can take turns performing the task. Lean Tip #522 - "Let go" once you delegate (supervisors have a tendency to over supervise). If you delegate a task, make sure the person you give it to has the skills, the instructions, and the resources necessary to carry it out. If you don't have the confidence in the person's ability to do a satisfactory job, you shouldn't give the task to that person to begin with. Lean Tip #523 - Show you trust your employees by accepting their ideas and suggestions. Seek out employees' ideas on a regular basis. Employees feel ownership of a process or a task when they've had input into it. Lean Tip #524 - Whenever possible, provide opportunities for employees to work in self-managed or self-directed work teams. Allow these teams freedom to determine the best course of action for meeting agreed-upon goals and objectives. Employees will see firsthand the results of their decisions and feel the pride of group achievement. Lean Tip #525 - Give credit where credit is due. A sure way to earn distrust from employees and squelch their enthusiasm is to take credit for their good ideas and performances.